Fatah: We Didn’t Recognize Israel……. – The Tundra Tabloids……. Fatah: We Didn’t Recognize Israel……. Muhammad Dahlan: Fatah recognized Israel, when? ‘Round and round the rugged rock, the ragged rascal ran’. The Tundra Tabloids remembers the time when a very senior Finnish journalist -who covered the Israeli/Palestinian conflict from Jerusalem- relayed his personal experiences during the time when Yasser Arafat captivated many a Western leader as someone with whom the West could do business with. Most of us now understand that it was all a ruse, with Arafat more interested in maintaining his own international importance and standing, as well as keeping his grasp on power. His famous ‘letter’ of the Palestinians recognition of Israel, was more of a face saving gesture towards the then, US president, Bill Clinton, than of anything sincere. But in the fast age of photo-ops and one liners, what matters most is perception, substance is something to be hammered out later when the time allows. The Finnish journalist whom I mentioned earlier, was himself present in the area where the Palestine National Council was voting on whether to rescind the portion from the PLO charter that called for the destruction of the Israel and accept UNSCR 242 and recognize the Jewish state. According to the journalist, who will remain anonymous, the delegates who participated in the vote, were by no means 100% sure on what exactly they had voted on. Many held the position that what they had actually voted on, was to place the matter to a future vote, not that they had just voted in favor of recognizing Israel and approved UNSCR 242. 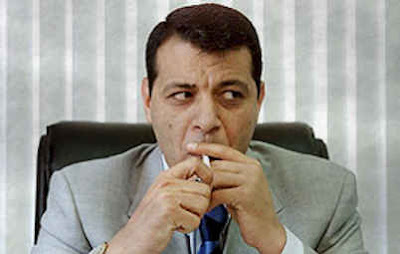 Now enter Muhammad Dahlan to set the record straight. Dahlan: There are many distortions that the Hamas movement tries to attribute to us [Fatah]. For instance, they always say that the Fatah movement wants Hamas to recognize Israel. This is a gross deception. And I want to say for the thousandth time, in my own name and in the name of all of my fellow members of the Fatah movement: We do not demand that the Hamas movement recognize Israel. On the contrary, we demand of the Hamas movement not to recognize Israel, because the Fatah movement does not recognize Israel, even today. […] Therefore, no one can compete with us. We of the Fatah do not recognize Israel; we recognized [corrects himself] recognize that which the PLO recognized, but that does not obligate us as a Palestinian resistance faction. It is not being demanded of Hamas that it recognize Israel. The government must deal with people’s problems… The entire Palestinian economy is dependent on Israel. The government’s role is to manage the day-to-day life of the Palestinian people. I cannot force my thinking and my position [non-recognition of Israel] on the government, and then [were I to do so] – should the Palestinian people pay the price for this position? No. I maintain the position of the Hamas and of the Fatah not to recognize Israel, but the government is required to offer medical treatment, to make education easier and take care of it. It must carry out reconstruction. Do you imagine that Gaza’s reconstruction is possible under the shadow of this political bickering between us and the international community? Moderator: Why must the new government recognize the PLO’s commitments? Next Post Next Post Finnish Presidents Differ on Immigration……. Two deranged individuals, Jim Sutter (supported by CAIR) and Bill Warner (claims Geert Wilders is a Nazi), are joining forces to defame Muslims Against Sharia. Before you buy into their lies and distortions, please consider the sources: //www.phonyrev.com/ & //insanepi.blogspot.com/.